This is a LARGE SIZE, heavy duty, all stainless steel safety razor handle made for The Claymore Single Edge Razor. It is also suitable for use with various double edge safety razors including Muhle, Merkur, Executive Shaving, Above the Tie and many more. Match up with the Claymore Bullet Razor Stand. The Claymore handle benefits from a matte finish that helps to deliver a firm grip even when the handle is wet. 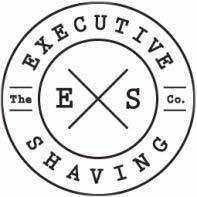 Lathe turned for Executive Shaving in Britain. Use with a variety of three piece safety razors. This is for users who want a hefty safety razor handle with generous dimensions. Lathe turned, grade 316L stainless steel in a brushed matte finish.